NoMachine has announced the availability of version 5.2.11 with a security update to OpenSSL (CVE-2017-3731) to fix an out-of-bounds read flaw which could be exploited by a remote attacker to crash a 32-bit TLS/SSL server or client using OpenSSL. It also consolidates fixes made on the 5.1.0 branch. This release also delivers usability improvements such as providing an option to set the maximum number of applications running in a virtual Linux desktop and optimizations to the fail-over procedure in NoMachine Cluster environments. 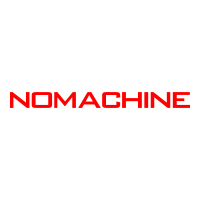 All customers are invited to update their NoMachine client and server installations. Version 4 customers please consult the announcement here. For more information please see our web site and contact CustomTech (email info@customtech.com.au or call) to arrange a FREE evaluation and discuss your needs.